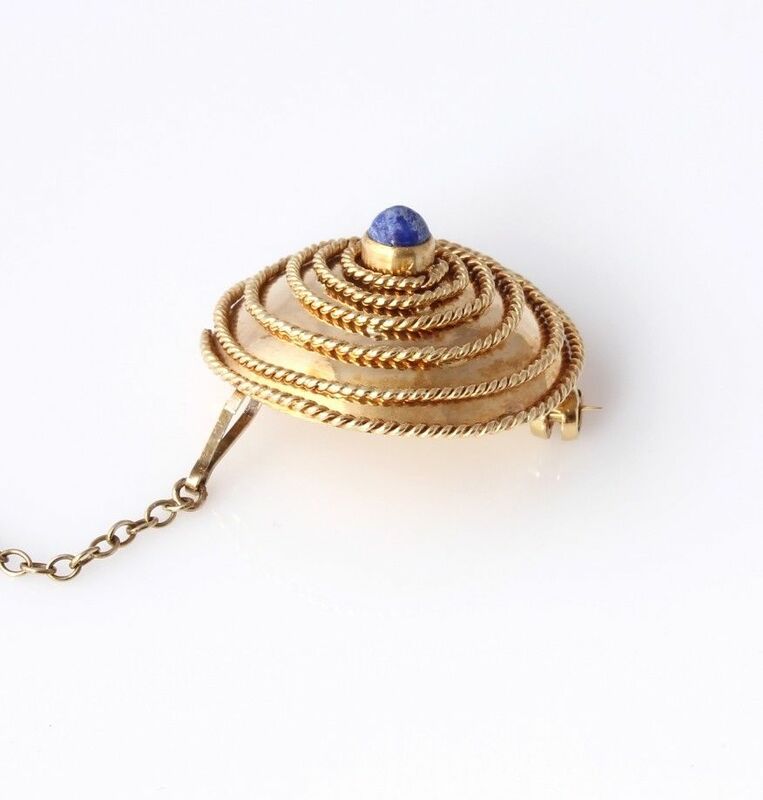 18ct Gold Filigree & Lapis Lazuli Round Brooch. Gift Boxed. 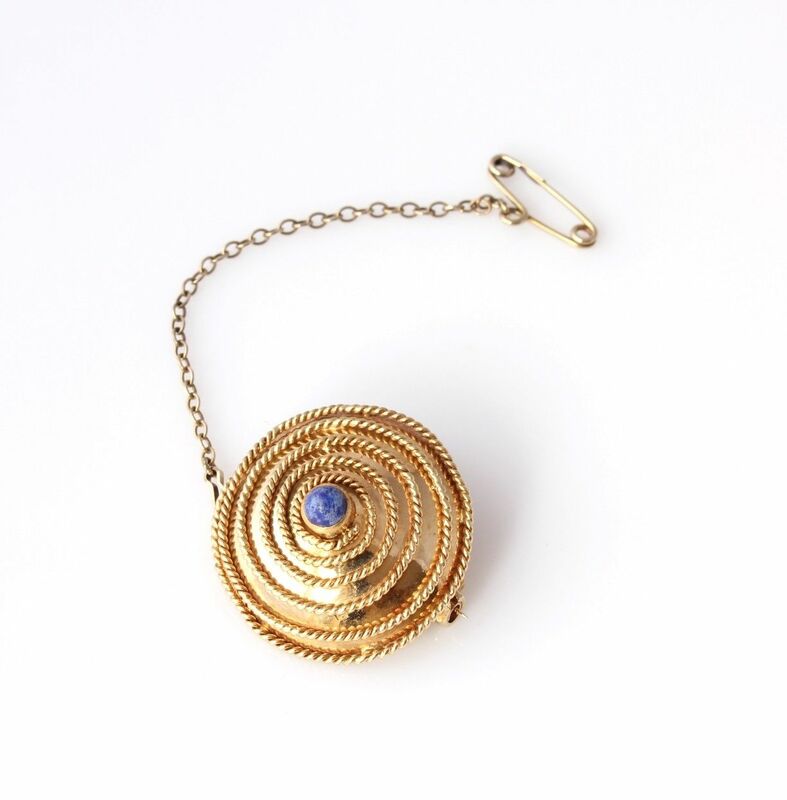 This wonderful and unusual circular brooch which is crafted in 18 ct yellow gold has wonderful rope twist filigree spirals, is set with a central lapis lazuli and has a fitted safety chain for extra security. 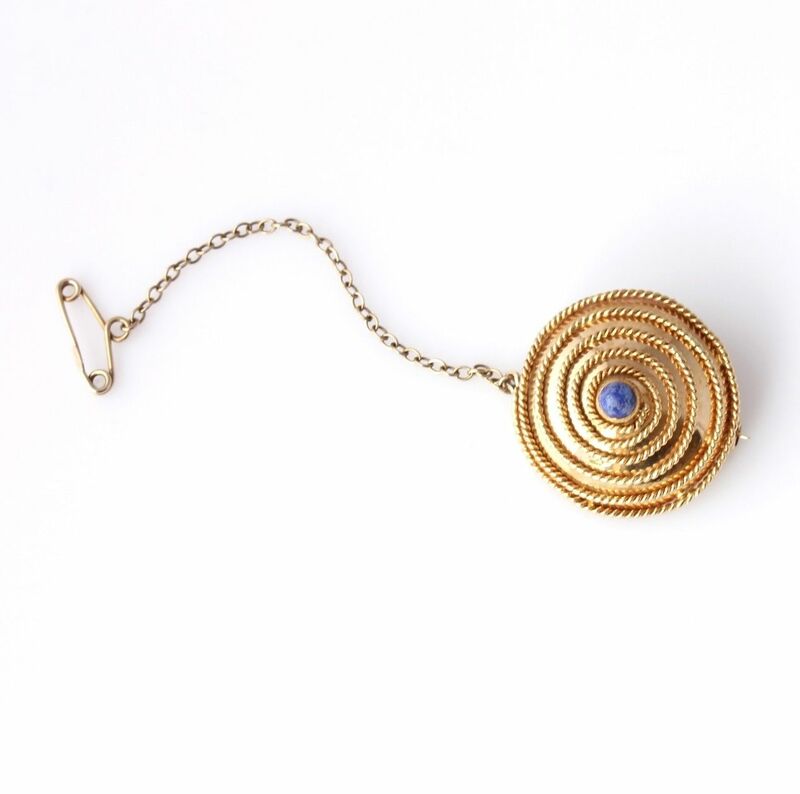 This stylish brooch, which is a good weight would make a wonderful gift. 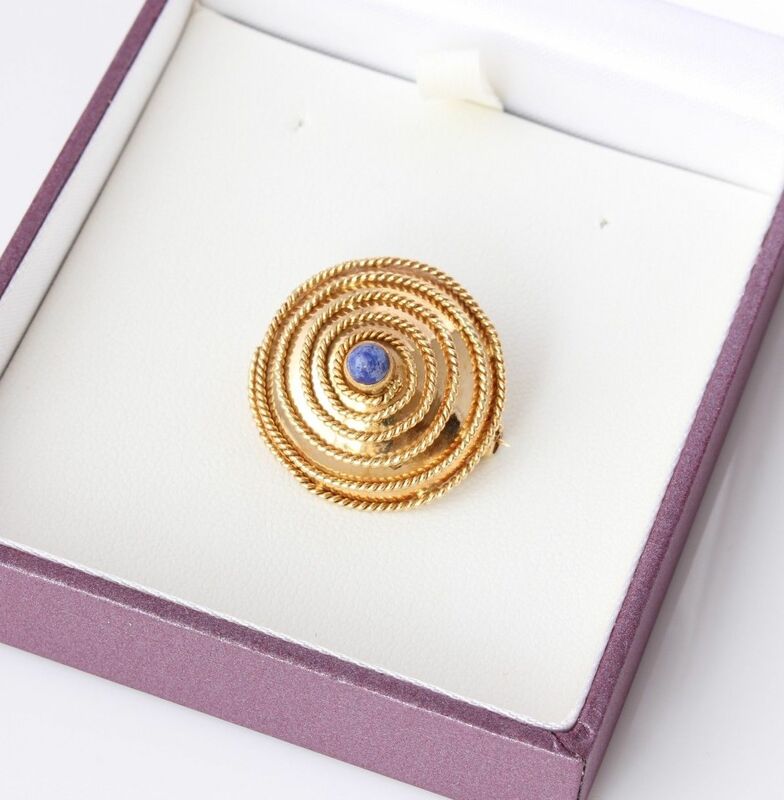 Materials: 18 ct yellow gold. 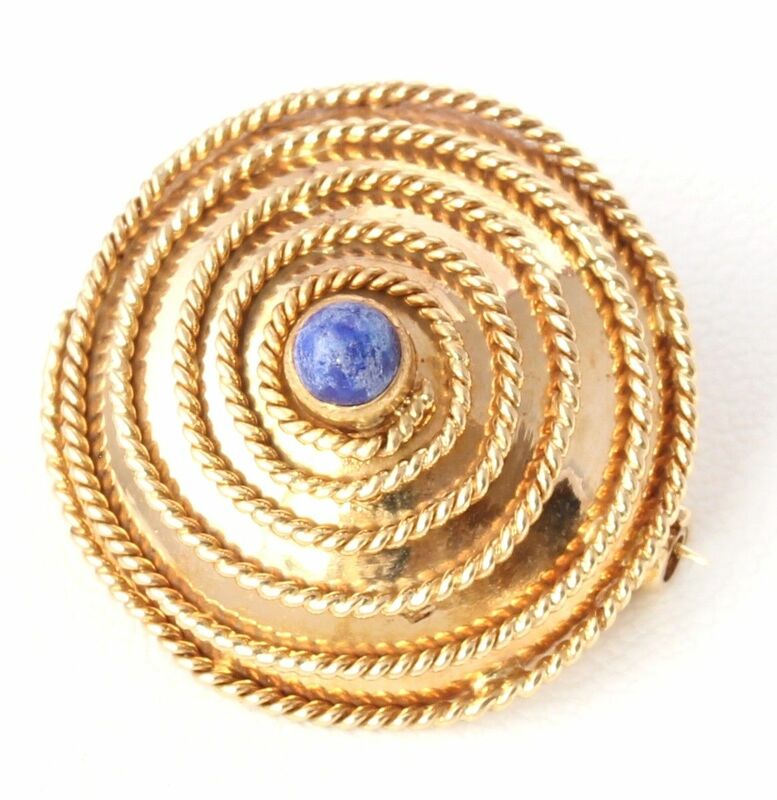 1 lapis lazuli. 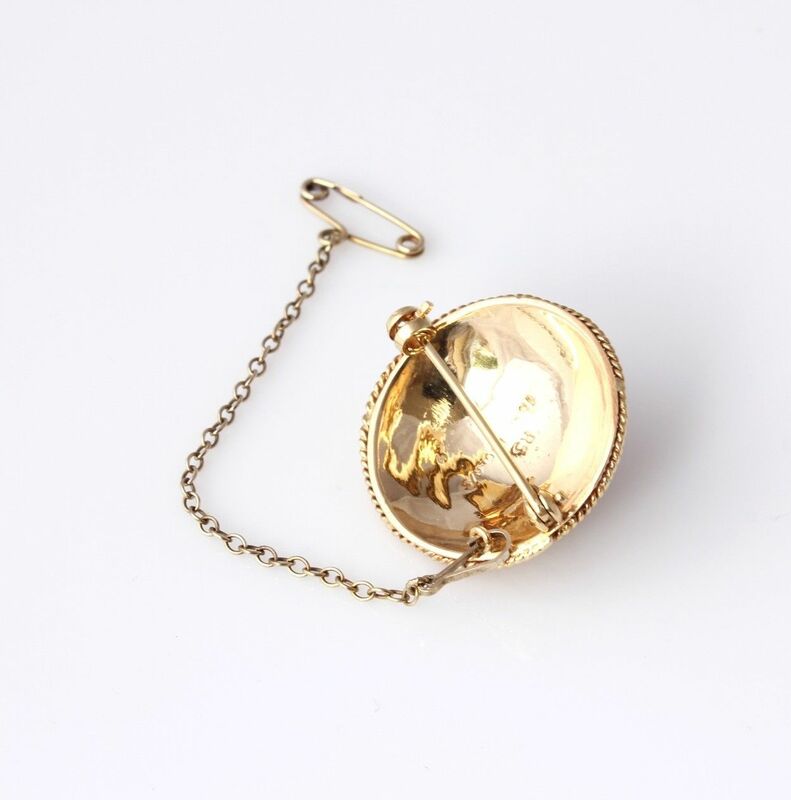 Hallmarked: Stamped 18 ct for 18 carat gold. Maker's mark RS Roger/S. Comes in a new gift box. Condition: Excellent antique condition. Professionally cleaned and ready to enjoy. Please see pictures. Comes in a new gift box.